Nothing screams 'never never' better than a half-finished letter A (or is is actually meant to be the Greek capital lambda Λ) in red with some of it in grey. 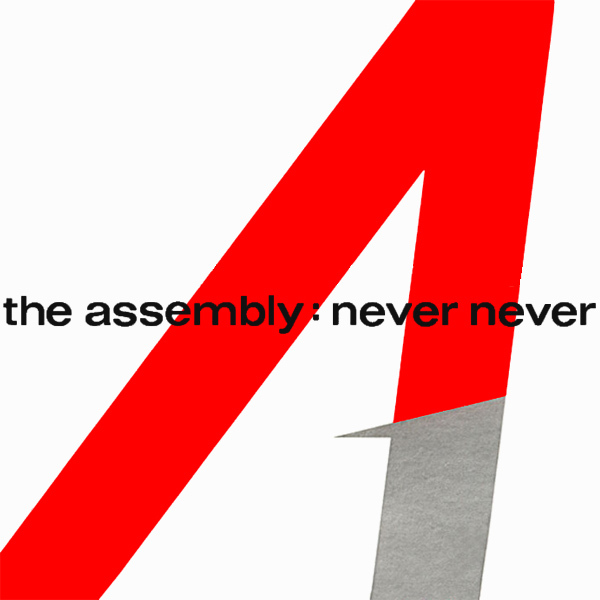 At least that's what we are to believe if the original cover artwork for the single Never Never by The Assembly is to be believed. For us, never never should be represented by something that you would tend not to want to ever do and we have represented this by a woman who we think you would definitely want to steer clear of. Then again, there is no accounting for taste. Flavor! 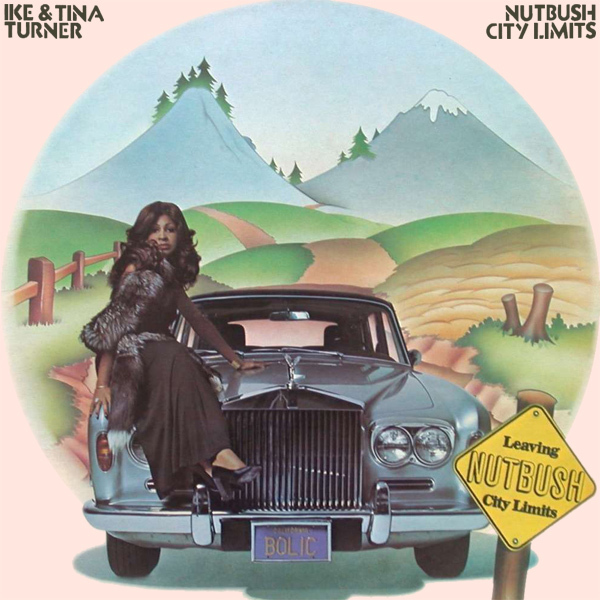 Time for a rare album (as opposed to a single) remix from us here at AllBum.Art. 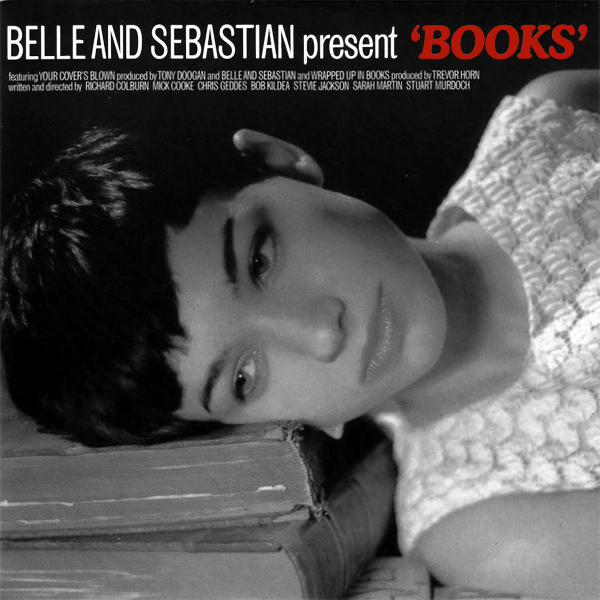 The original cover of Books by Belle And Sebastian fails in so many ways that it really isn't of any value to count them. Instead, let's focus on the remix where we find a room full of books. Oh, and just to lighten the picture a little, there's a babe sat in the room reading a book. And she seems very smitten with the book, in several shades of grey. Dictionary! 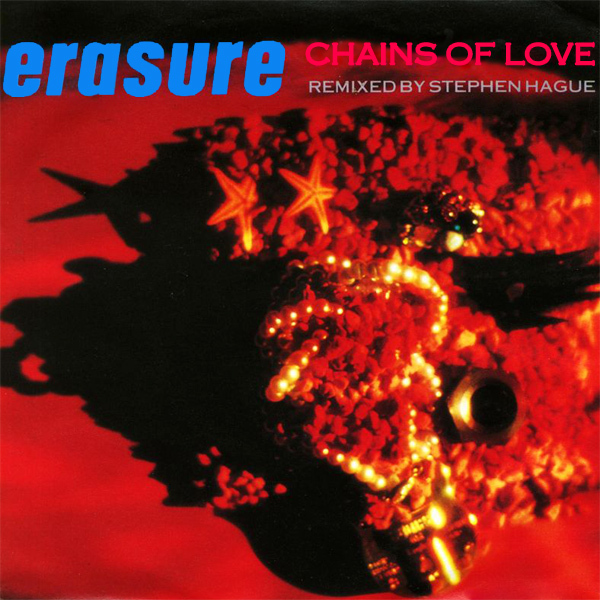 Today is the turn of Chains Of Love by Erasure for a remix. A question that immediately springs to mind when viewing the original cover is this... are there any chains depicted on the artwork? The answer is not clear. Is there, for example, a chain of pearls? To help clarify this, the remix presents a babe who is very clearly connected up with chains of love, or passion, or lust maybe. It looks as if she could do with some assistance to unchain her - maybe a job for the Righteous Brothers? Padlock! Anyone would think we had planned this. 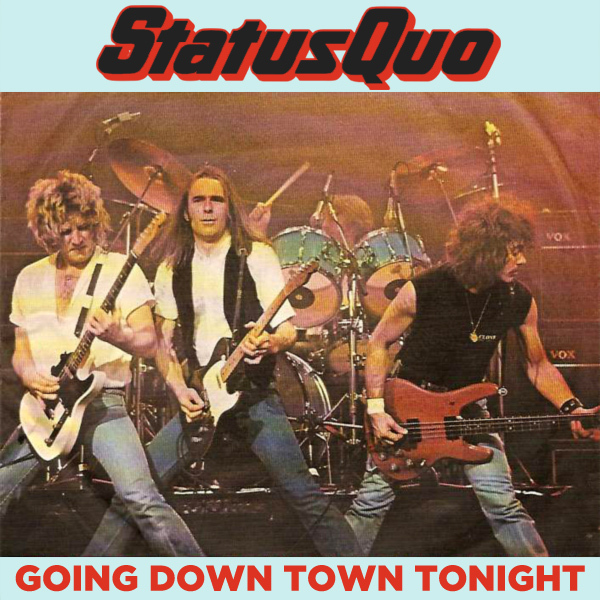 First a connection from one song to the next by way of dreaming, and then a connection because it's the same band, Status Quo who are Going Down Town Tonight. But what do they expect to find there, themselves in concert? 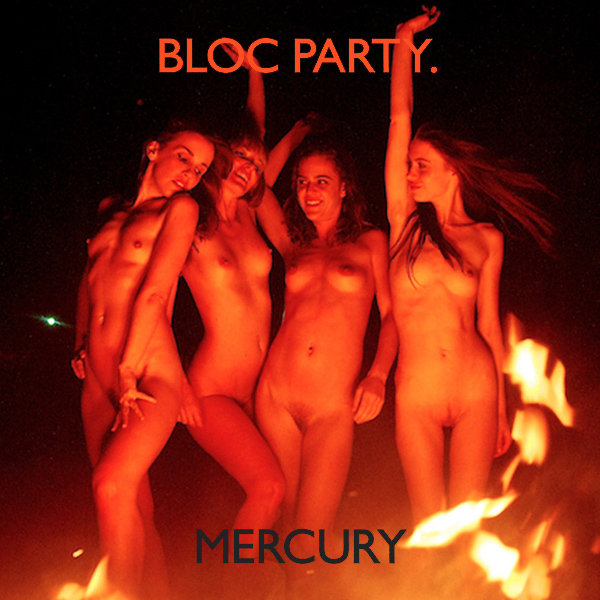 Because that's what the original cover artwork suggests. The remix shows three babes waiting downtown on a seedy back-street somewhere. Seedy or not, that's the kind of downtown we like. City! 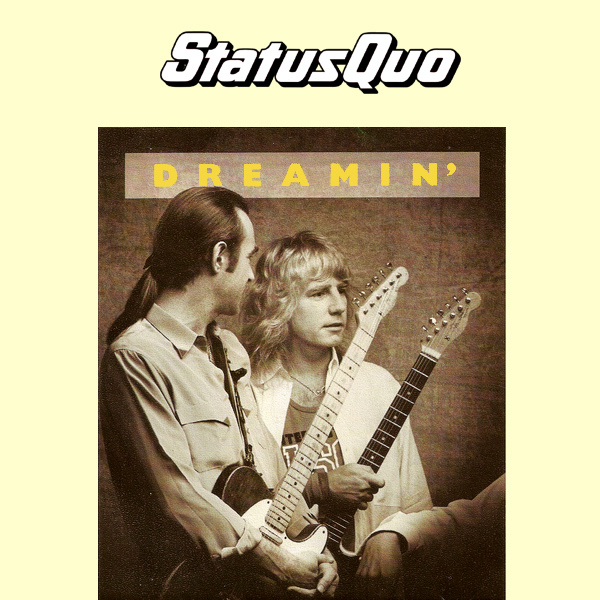 Whilst we are on the subject of dreaming, here's another remix by British rockers Status Quo called Dreamin'. 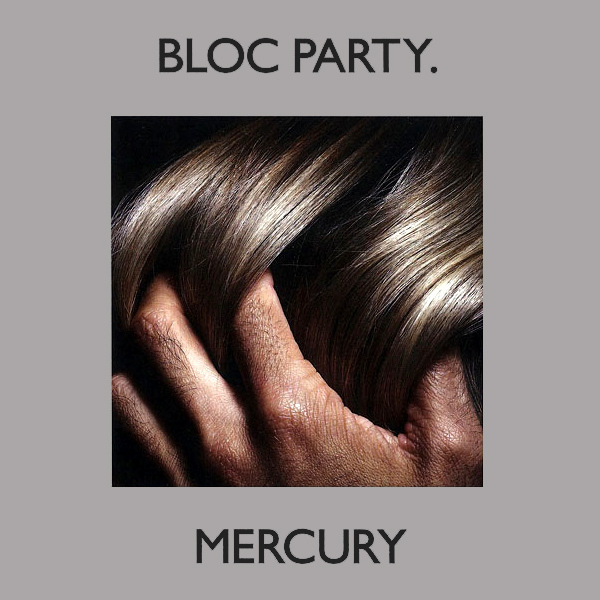 On the original cover we see two of the band members, but they look more puzzled than dreamy. On the remix we find a dreamy girl who would be welcome in our dreams any day. In fact, wasn't she the one who, you know, in that dream you had the other day? Snooze! 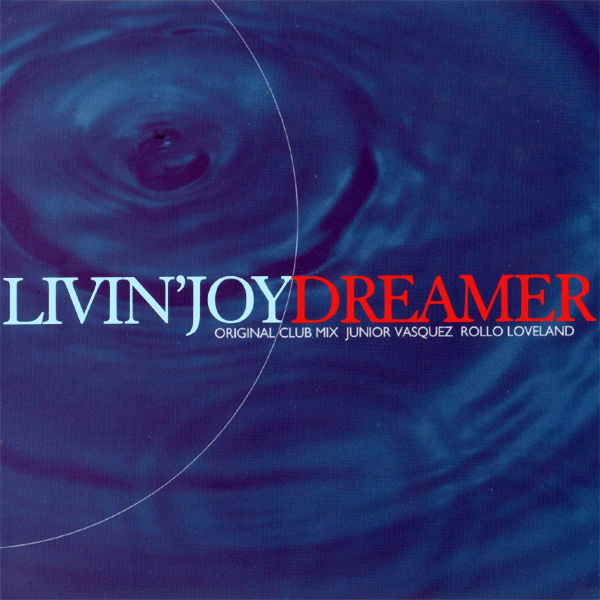 A triple-play remix from Livin Joy and their Eurodance track Dreamer. 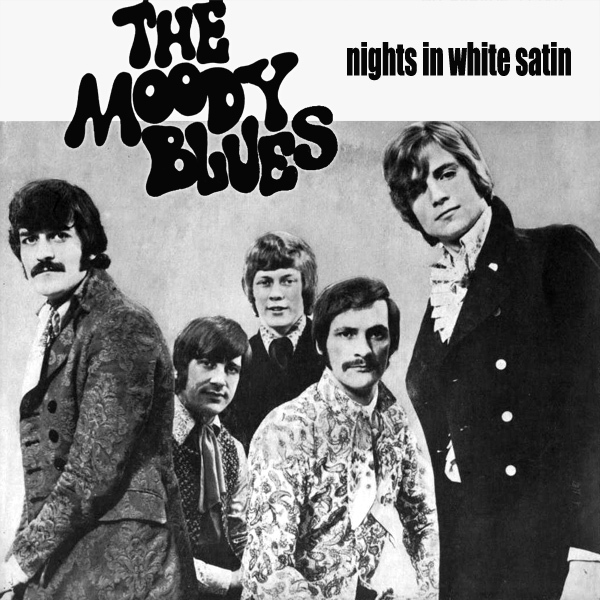 The original cover artwork for their single may be dreamy, if ripples in a pool of blue water are your thing. The first remix is far more dreamy as we find a babe lying on her bed in mid dream. The final remix shows yet another babe lying on a bed dreaming away. Which do you prefer? Snooze! Who would have known that fashion designer Victoria Beckham, wife of erstwhile footballer David Beckham, had a solo pop career. Then again, she was part of the internationally renowned Spice Girls. Either way, the cover of her single Not Such An Innocent Girl tends to suggest that she is a little on the naughty side too. The remix shows a babe who is lacking a great deal of innocence, and has climbed right over to the naughty side. Pose!